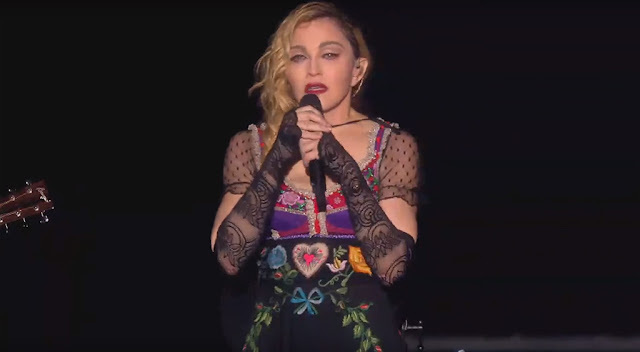 This video is from Guy Oseary - the manager of Madonna AND U2, and who has been managing Madonna's career from the very start, show Madonna's message, which is clear and heartfelt. "I need to take this moment to acknowledge the tragedy. 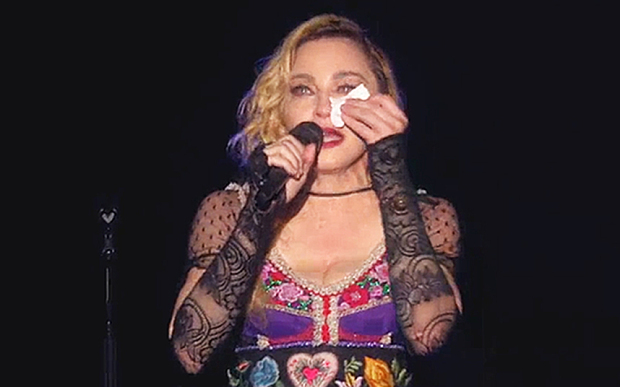 The tragic killings, assassinations and the senseless ending of precious life that occurred last night in Paris." 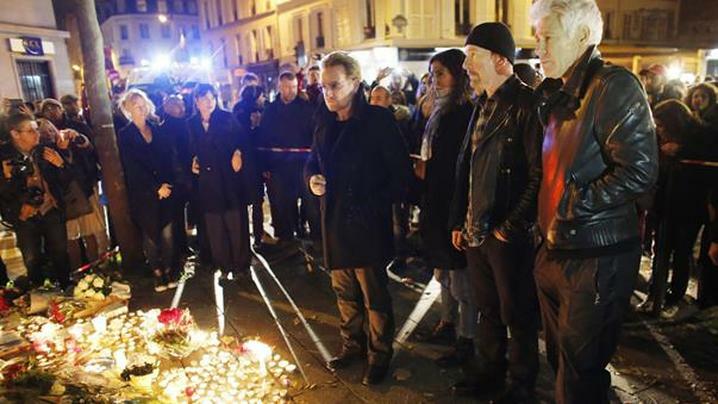 Meanwhile, U2 cancelled their Paris tour dates and paid tribute to the victims of the deadly terror attacks, visiting the Bataclan theatre where more than 80 people were killed. "We watched in disbelief and shock at the unfolding events in Paris and our hearts go out to all the victims and their families across the city tonight," U2 said in a statement on Friday. The band has cancelled two sold-out concerts in Paris, including one to be broadcast live Saturday. Broadcaster HBO had planned to screen the concert live and had been promoting it extensively, including with promo posters in New York. U2 said they were "fully resolved to go ahead with this show at an appropriate time."